1: After applying a FEC AVX filter in Avid’s timeline, click Register FEC AVX checkbox in the Effect Editor window. 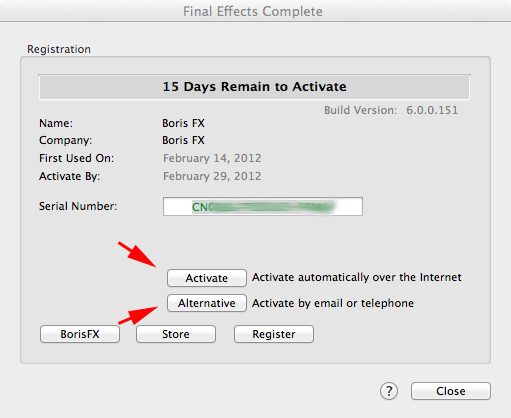 Note: You need to click Alternative button if you do not want to Activate live over the internet. 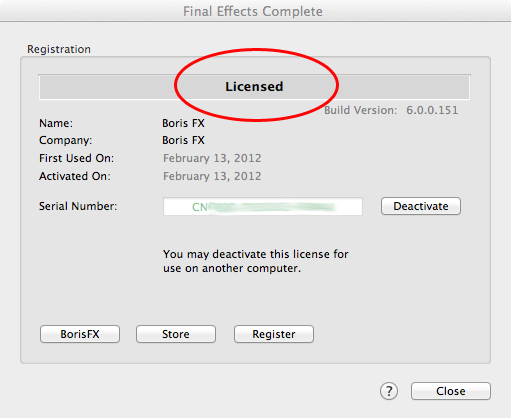 You must then provide the Unique Product ID number to Boris FX to receive the Unlock Code for that system. Unlock Code is needed to license the product when you choose the Alternative option. 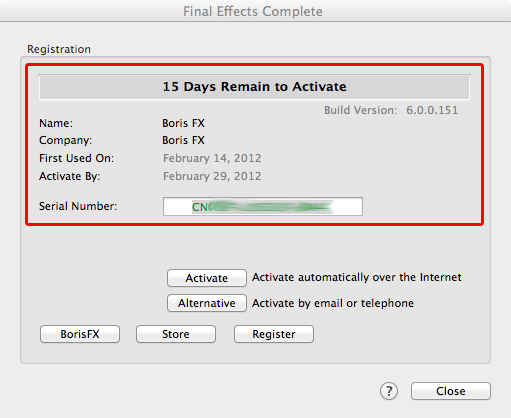 6: The BorisFX button within the Activation Window should launch the system web browser and go to the borisfx.com web site’s home page. 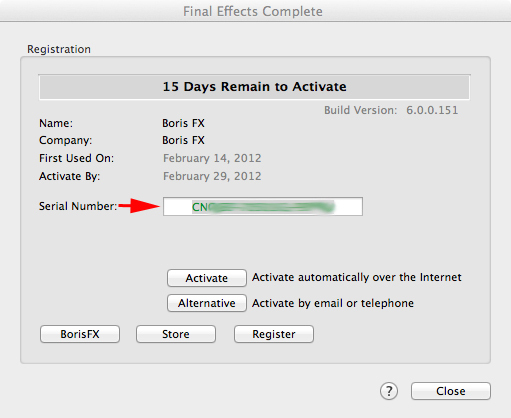 Clicking on Store button should launch the system web browser and go to the borisfx.com web site’s products purchase page & clicking on Register button should launch the system web browser and go to the borisfx.com web site’s products registration page. Clicking on the Questionmark button launches this document.